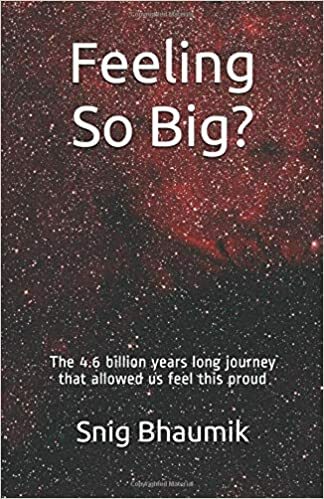 The 4.6 billion years of journey that allowed us feel this proud. Cark Sagan once said “How perilous our infancy, how humble our beginnings, how many rivers we had to cross before we found our way”. This book is a factual introspection of our existence in this planet today. Science and technology have blessed us as the controller species of this planet. Let us discern this power; and rather than feeling arrogant and proud let us feel responsible and humble to the nature and the creation. Let us widen our thoughts, our beliefs, our assumptions, our reasons; and be the pertinent successor of our ancestors and worthy predecessor of next generations; and the befitting species on planet earth. Cosmic Calendar, what is the date today? Whom should we be grateful for this life?